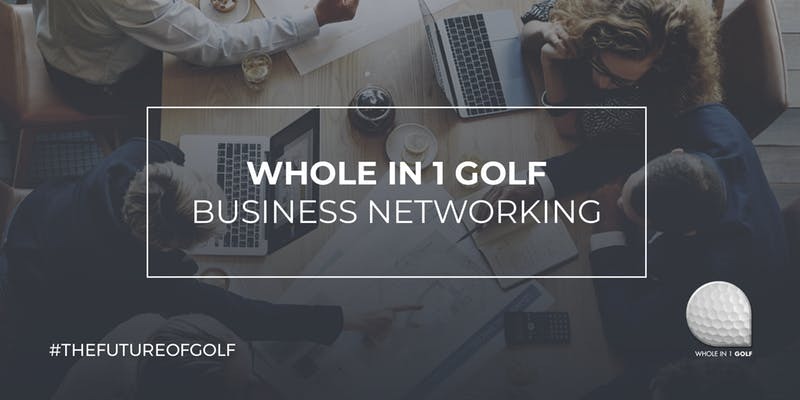 Whole in 1 Golf would like to invite you to our Business Networking Event at The Suffolk Golf Club – All Saints Hotel Golf Spa on Tuesday 23rd April. Events are becoming increasingly popular with local sponsors, so if you and a colleague would like to join us on the 23rd April, RSVP directly to this invitation to confirm your attendance. 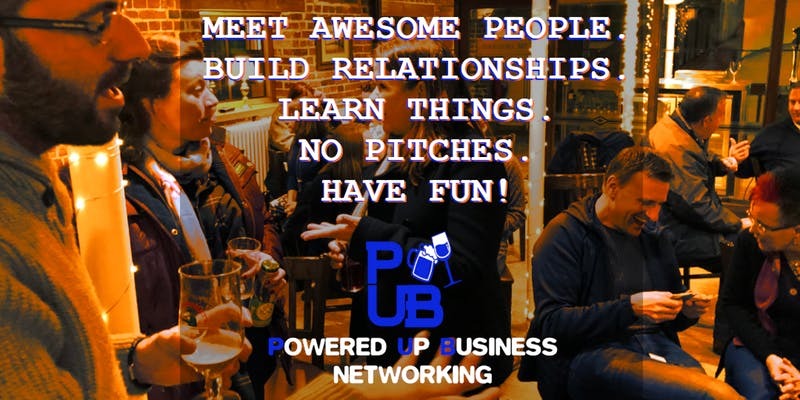 The next Powered Up Business Networking event is on the 25th April - 7.30PM at Isaacs Bar. We'll be hearing from NLP, EFT & Positive Change expert, Fiona Simpson. The next Powered Up Business Networking event is on the 25th April – 7.30PM at Isaacs Bar. We’ll be hearing from NLP, EFT & Positive Change expert, Fiona Simpson. She will be telling the room how a blue giraffe can help you get the right mindset to achieve your goals. Powered Up Business Networking is networking that focuses on the people and not the businesses themselves. We believe in getting to know each other to build strong business relationships within a relaxed atmosphere. Each month you will learn something of value from one of our presenters. Presentations with genuine, useful value that you can use in your business and not a presentation that ends with a pitch. You can find out about this months presentation by reading on. We have a wide range of business people that attend. From start-ups to those with 30 years experience and across a wide range of industries. Everyone that attends is welcoming and an all round good egg. We believe in a ‘people buy people’ philosophy. We ensure you meet new people and get to know them as well. You won’t be left standing in the corner all alone. Everyone who attends will walk away having learned something new. Our speakers offer genuine value, things you can take away and use within your business. Our speakers don’t pitch services, they just help you grow. This month, NLP, EFT & Positive Change expert, Fiona Simpson, will be telling the room how a blue giraffe can help you get the right mindset to achieve your goals. We ensure it is fun. Our networking events are all about you, your passions and your business success. Plus there’s the odd terrible joke thrown in. Held at Isaacs above the courtyard bar, we will have a large room all to ourselves. You may need to go through the main bar to get to it. It will be signposted from there. 7.30 – Meet, greet & network. Your chance to sign in, grab a drink and speak to people of your choosing. 8.00 – Introduction. This month, it will be shorter which will mean less crap jokes. 8.05 – Your chance to tell the room about yourself with a difference. 8.30 – Grab another drink/networking. 8.45 – Presentation from Fiona. 9.30 – End/move out into Isaacs to continue the drinking. There are limited spaces on this due to room capacity so book now for a fun evening of great networking and insights. This will probably be the best thing you’ve ever spend £9.77 on. Why did you start your business/organisation? What are the problems your business set out to solve? What drives your business beyond making a profit? We all know what we do and how we do it, but too rarely do we ask ourselves ‘why’ we are doing it and if our vision aligns with that of our audience. This talk aims to help you understand how to establish and effectively communicate your purpose to elevate your brand and to drive business growth. We will be showing you how to engagingly express purpose, values and personality in order to differentiate your brand and to build meaningful relationships with your target audience. • How to find your spark – what’s the story behind your business? • Can purpose really help grow a business? Are you looking to reposition your business/organisation or push it to the next level? Does your branding feel a bit lacklustre and in need of a boost? Or perhaps you are not consistently reaching the right audience through your brand communication? Then, this talk is for you. To attend this workshop, we are asking for a £10 donation to our chosen charity, Age UK Suffolk. We are Brand Up – Angie Vale & Franzi Scheithauer – a creative duo with over 10 years combined experience in web development, brand strategy and identity design. We partner with businesses and organisations on their journey to building an engaging purpose and story-driven brand. 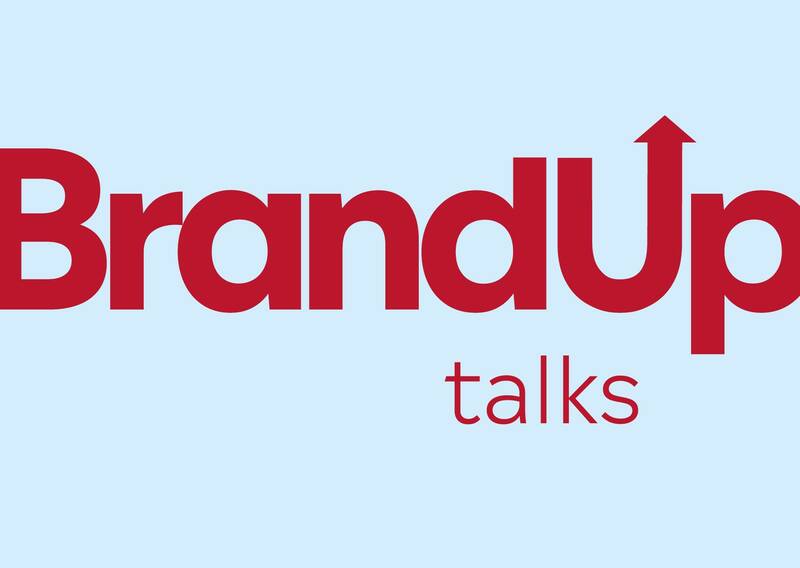 Our themed Brand Up talks are designed to give you some industry insight and help you gauge where you are on your journey to building a consistent story driven brand. Through case studies and explaining our work process, we’ll help you get some clarity and channel some ideas to communicate more effectively and engagingly with your audience. 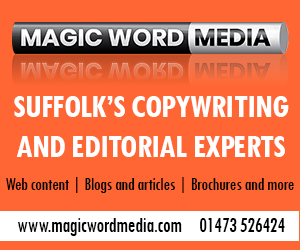 Suffolk Business Copyright © 2019.